This area of the park will be replaced by five landscaped “living spaces” and three bocce ball courts. 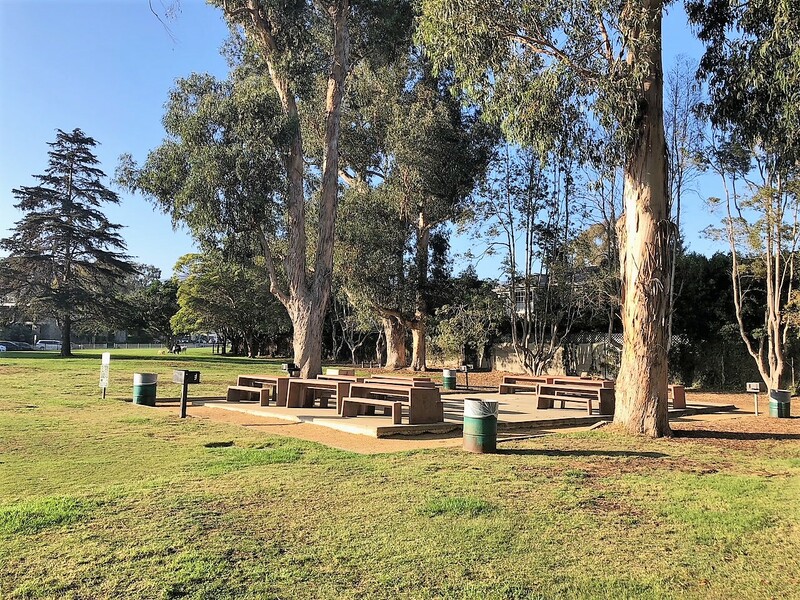 In a September 2018, Circling the News story “Nearly $700,000 Pledged to Bocce Ball/Veterans’ Gardens,” it was reported that “Three bocce ball courts and five outdoor landscaped ‘rooms’ at the Palisades Recreation Center are in the final approval stages by the L.A. Department of Recreation and Parks. At the Park Advisory Board (PAB) meeting on January 16, board member Robert Harter was asked the current status. Harter, who has spearheaded the project and received the 2018 Citizen of the Year award (with Jimmy Dunne) for this project, said that L.A. Building and Safety had told them that they would only need footing for the commemoratives, which was a positive step. Next the project has to go before the Rec and Park Board of Commissioners. Once it is approved by that board, ground breaking could take place, maybe as early as April. At an earlier PAB meeting, neighbors were worried that there might not be enough money for maintenance to keep the Veterans’ Garden clean and vegetation cared for. Those in attendance were told that there was enough money budgeted for three years. That assurance that the Legion would continue maintenance indefinitely helped stop any opposition. Circling the News contacted Legion Commander Jere Romano about the Legion providing an indefinite funding for maintenance. He has not responded to emails from Circling the News.